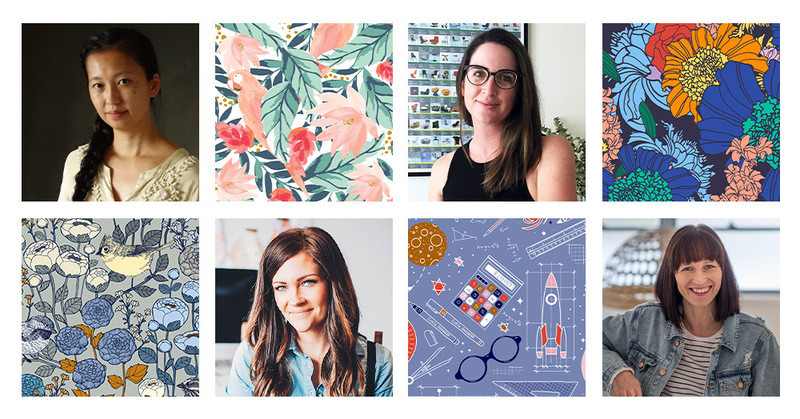 This week we’re visiting Southwest Virginia to meet illustrator and designer Annie Parsons, known as anniedrawsthings in the Spoonflower Marketplace. Inspired by the farmland and mountains of her quaint town, Annie describes the region as, “full of art and history, and home to a vibrant bluegrass scene.” She goes on to say, “my home also served as the inspiration for my newest collection, Fine Little Country.” And, if the name Annie Parsons sounds familiar, it may be that you’ve had a glimpse of her whimsical watercolors in our Party Pennants DIY tutorial. You’ll want to bookmark that one for later. Right now, we encourage you to settle in and spend some time getting to know our dear friend, Annie. You’ll be glad you did! 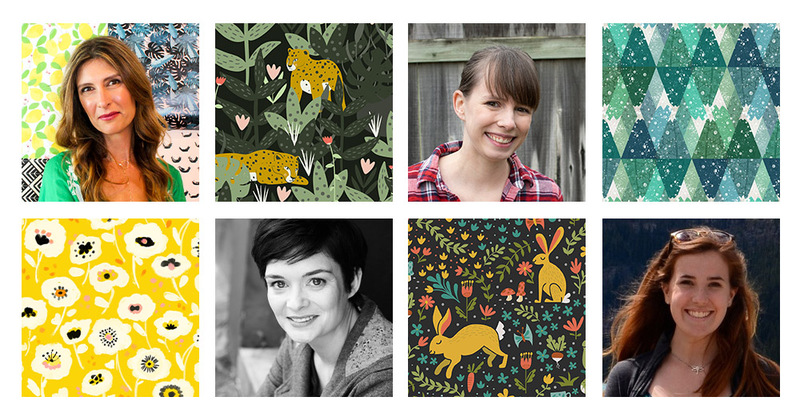 This week we’re back for another installment of our Meet the Designer series to introduce Michigan based illustrator and designer Sareka Unique, otherwise known as sarekaunique in the Spoonflower Marketplace. Experiencing Sareka’s art is like exploring a candy-colored dreamscape full of texture, movement and wonder within her perfectly juxtaposed geometric and organic shaped design elements. She has a lot to say about color and offers some excellent tips for choosing the perfect palette, so stick around for a really fun interview!